A fancy limousine is a great way to boost an event. Whether you resort to limo hire for yourself or someone else, it is one service that can surely add class and style to the venue and make the occasion even more special. As with all services, you need to invest some careful consideration. It is never a good idea to just go with the first company you see and book a vehicle that does not suit your needs. If you wish to make the event special, you will do well to keep some things in mind before you call a limo hire company. Do some research – a quick search on the Internet is likely to turn up several limo hire companies within your area. Which one you book with largely depends on your preferences and needs. Some companies might not have availability and others may present several options for you to choose from. Determine what best suits your needs and book with a company that fulfils the criteria. Inquire about their chauffeurs – one crucial aspect of limo hire is the chauffeur you get. These professionals drive the limo and serve you on your way in and out. As such, they need driving expertise and a clean history with no driving accidents. Furthermore, they need to have a flawless look and act professionally at all times. Consider rental charges – the price you are going to pay for the service is essential, even if you have a lot to spare. There are many factors in play, and you need to pay attention to all. For starters, the type of limousine you get and the length of your journey make the biggest part of the price. However, you also need to consider extra charges like gratuity and possible delays. Ask about the minimum charge per hour, because that is the least you will be paying. 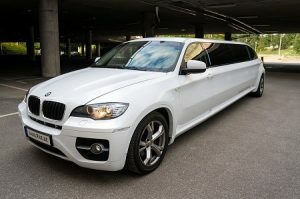 Get a thematic limo – the best limousine for your party or other special occasion is the one that best fits the theme. In that sense, you will want a properly decorated vehicle for your wedding and a cool party bus for your bachelor/bachelorette party. When browsing the limousines from a specific provider, think to yourself how the vehicle helps the party. Devise a schedule – when hiring a limousine, it is very important to have an agenda. The company will strictly follow the pick-up time you have provided, as well as the entire schedule. Think about how long travel will take and plan for any contingencies, such as high traffic and closed roads. Do not wait until last to book – it is a good idea to do your research and call a company ahead of time. That way you know they will have available vehicles for you, even when it is a busy season. If you have not ever booked a limo hire service before, these tips will help you out immensely.